I pulled out the Wine Service Die-Namics and created some colorful wine bottles. I die cut the dome fish-tail flag from some Black Licorice Card Stock using the Tag Builder Blueprints 7. I stamped the sentiment from the Uncorked Stamp Set onto the flag using some watermark ink and then heat embossed it using Silver Embossing Powder. I trimmed out a portion of the wine bottles and layered them above and below the sentiment, adhering them with foam squares. I layered a strip of striped paper from the Black & White Striped 6 x 6 Paper Pack onto the image panel, and then adhered the assembled image panel to a Black Licorice card base. 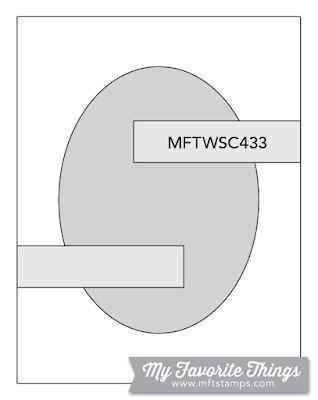 I've listed and linked all of the MFT Products that I used below. 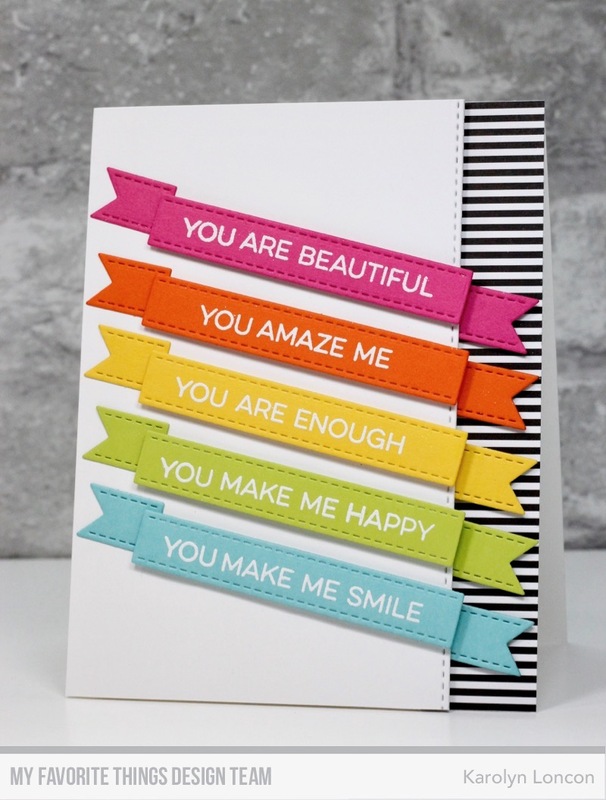 Please click on through to the MFT Design Blog to be linked to the other fabulous projects created by my super talented teammates! 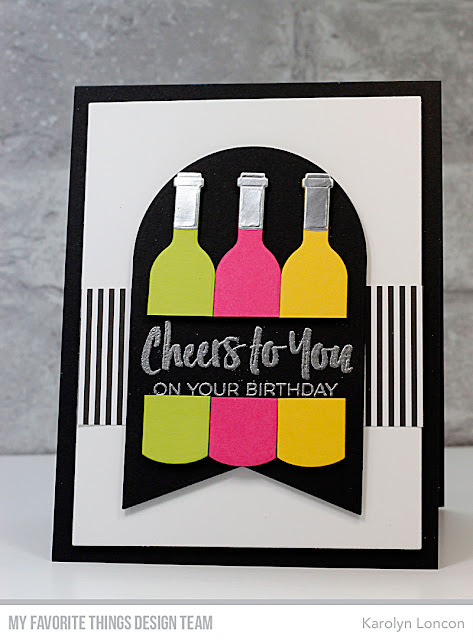 While you're there, why not link up a drink-themed birthday card of your own to be eligible to win a $50 Gift Voucher to the MFT Online Boutique! It's a random draw, so everyone has a chance to win! That's it for me today, my friends! I'm off to lunch with another friend today, and then back to my craft room - lots of crafty goodies coming very soon! Thanks so much for stopping by today - have an awesome day! 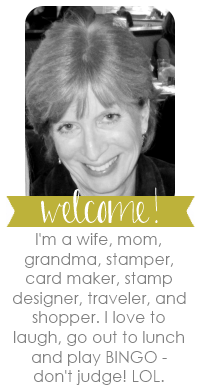 My Favorite Things - Wednesday Sketch Challenge #433!! I used a mask negative that I die cut using the Stitched Mini Scallop Oval Die-Namics and I stamped the Fresh-Cut Flowers Background into the center of the aperture using Black Licorice Hybrid Ink. I blended a few pastel colored distress inks around the outside border and embossed the oval die into the image panel before I removed the mask. I colored the image with my Copic markers, and die cut the outside of the image panel using the A2 Rectangle STAX Set 2 Die-Namics. I die cut the "you" from the bottom left portion of the image using the You Trio Die-Namics. The sentiment, from the All About You Stamp Set, was stamped onto some Limelight Card Stock using Sweet Tooth Pigment Ink and heat embossed with white embossing powder. I then die cut it using the new Fishtail Flag Trio Die-Namics. 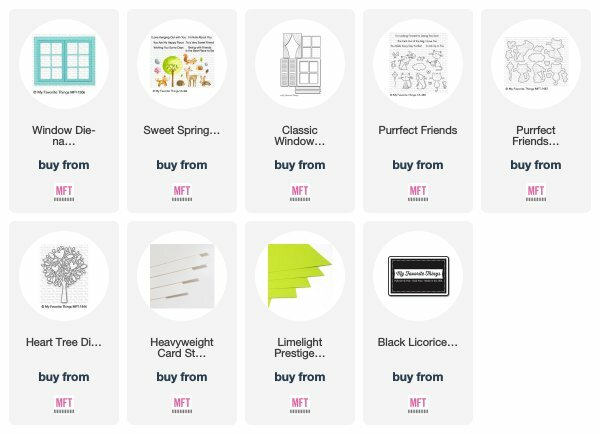 I've listed and linked all of the MFT products that I used below. 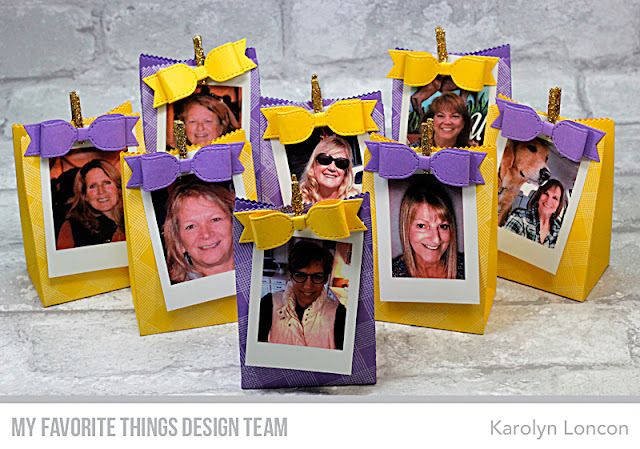 Please click on through to the MFT Design Blog to be linked to the other fabulous projects that my teammates have created for you! 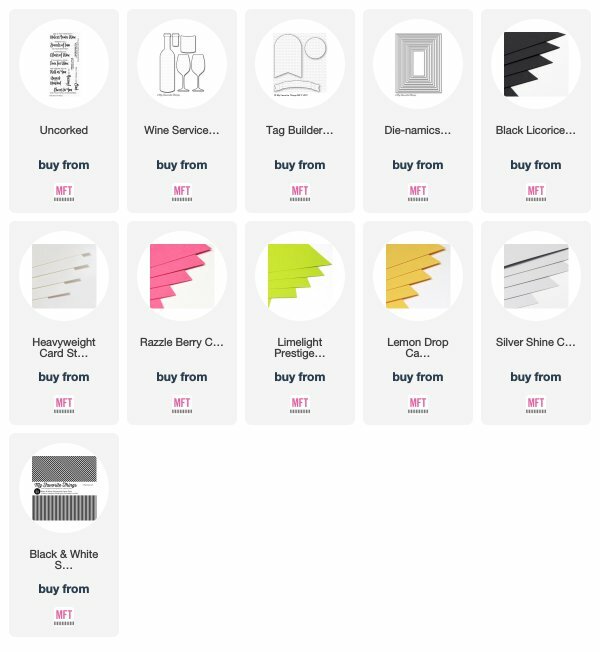 And while you're there, why not link up your own take on this week's sketch challenge for a chance to win a $50 Gift Voucher to the MFT Online Boutique! It's a random draw, so you have nothing to lose! That's it for me today, friends!! I'm headed to lunch with an old friend, and then back to my craft room to get some deadlines knocked out. I hope you have some wonderful plans in store for your Wednesday! I'll be back again tomorrow with another crafty project to share! Thanks for stopping by! 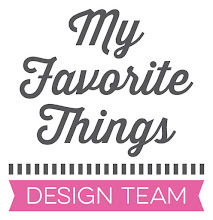 My Favorite Things - Wednesday Sketch Challenge #432! It features the new Photo Booth Strip Die-Namics and the Fishtail Flag Trio Die-Namics. 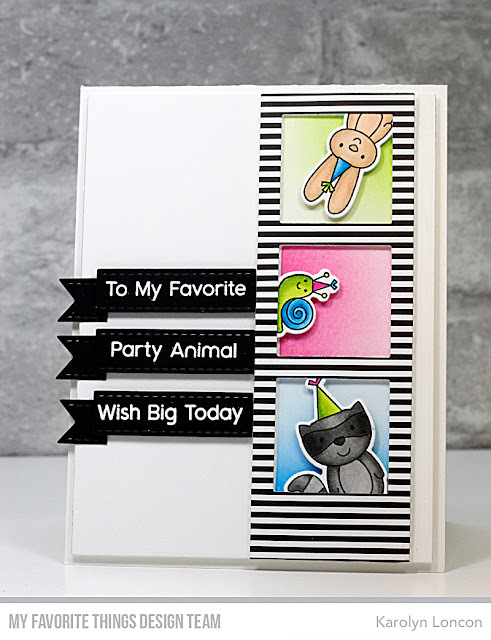 I paired them both with the previously released Birthday Bear & Friends Stamp Set and coordinating dies. 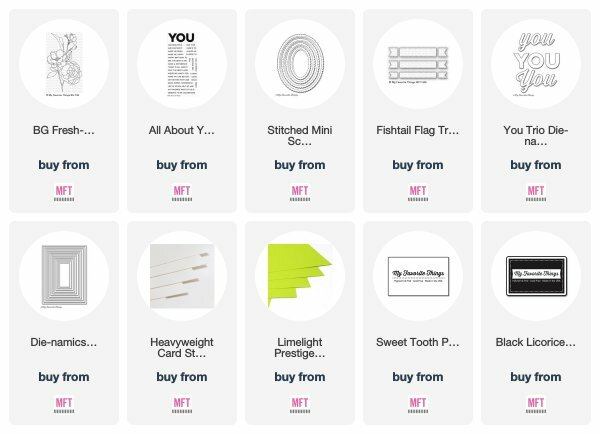 I've listed and linked all of the MFT products that I used below. 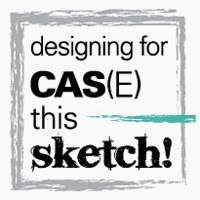 Please click on through to the MFT Design Blog to be linked to the other projects created by my teammates for this week's sketch! 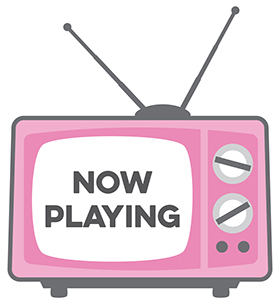 And while you're there, why not link up your own take on this week's sketch to be eligible to win a $50 Gift Voucher to the MFT Online Boutique! It's a random draw, so you have absolutely nothing to lose! That's it for me today, my friends! Thanks so much for stopping by today - I'll be back soon with more crafty goodness! Have an awesome day! My Favorite Things - April Release Ccountdown Day 1! 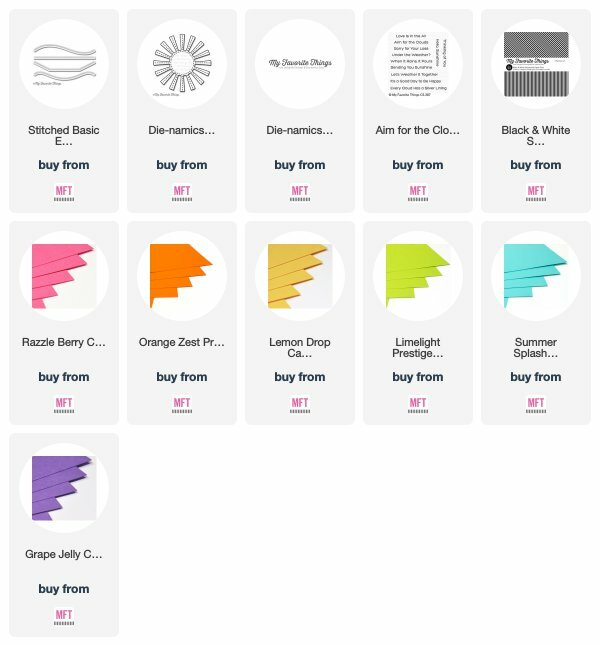 The time is almost here to get your inky hands with the new April Release products! Only one more day and they can be yours!! Today's project features the new Stitched Ric Rac Die-Namics - which I am soooo excited about because it's the "Free with $60 Purchase" die for this month! The detail in this die is phenomenal and will enhance your projects so beautifully! Okay, so I HAD to make a rainbow using the Stitched Ric Rac die cuts! I paired them with the previously released Stitched Clouds and the Sunny Skies Die-Namics. 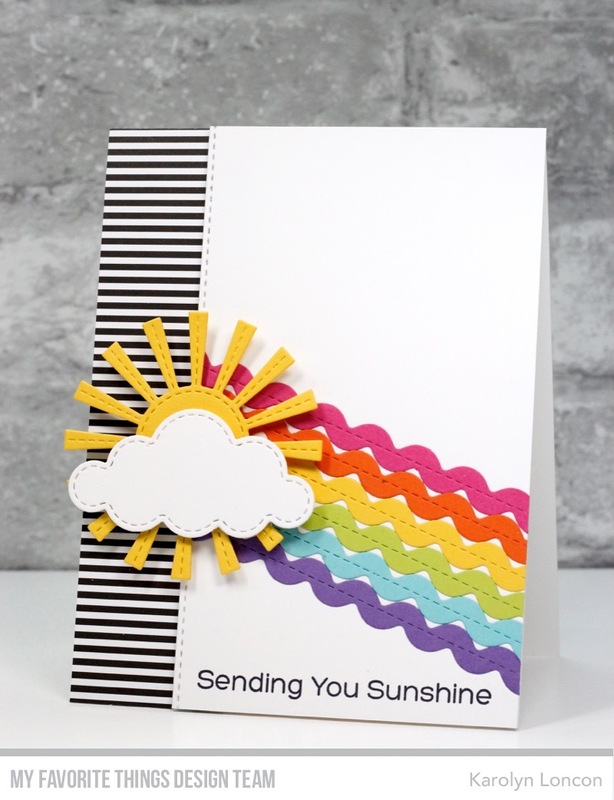 The sentiment is from the Aim for the Clouds Stamp Set! 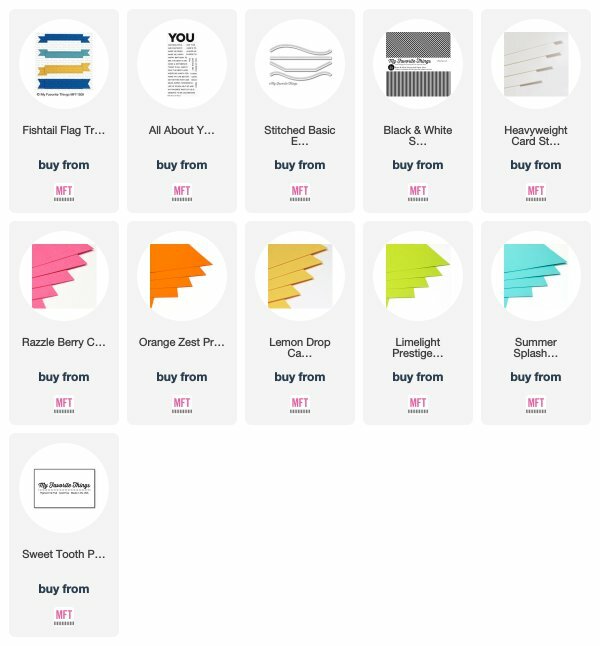 I've listed and linked all of the MFT products that I used below. 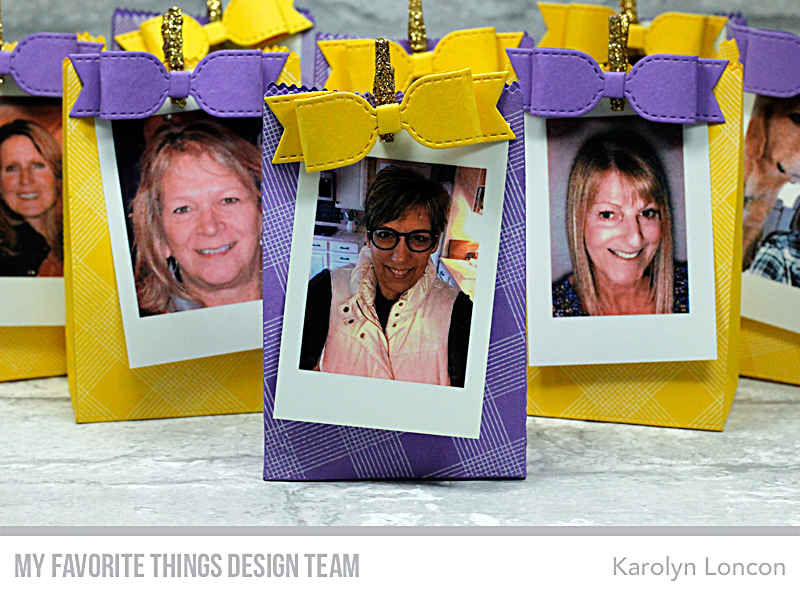 Please click on through to the MFT Design Blog to be linked to the other spectacular projects that my teammates have created for your inspiration! While you're there, be sure and leave some love along the way to be eligible to win a $75 Gift Voucher to the MFT Online Boutique. It's a random draw, so you have nothing to lose. All of the April Release products will be available for purchase on Tuesday, April 9, 2019 at 10:00 AM. That'll do it for me today, friends!! I'll be back again tomorrow with my project for the MFT & Friends blog post, so I hope you'll come by again real soon to check it out! Have an awesome day! My Favorite Things - April Release Countdown Day 2!! Oh my gosh, we're getting so close to the release!! 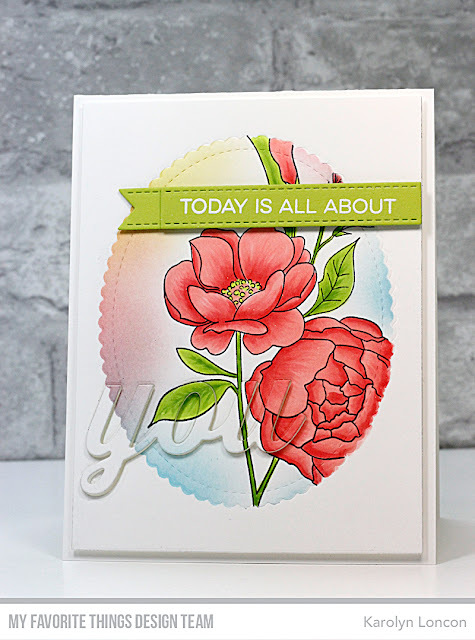 I'm back today to share another project for this month's release, this one featuring the new Window Die-Namics and the Sweet Spring Friends Stamp Set. I paired the new Window Die-Namics with the back-facing kitty from the previously released Purrfect Friends Stamp Set, and the Heart Tree Die-Namics to create this sweet scene. The sentiment is from the new Sweet Spring Friends Stamp Set. 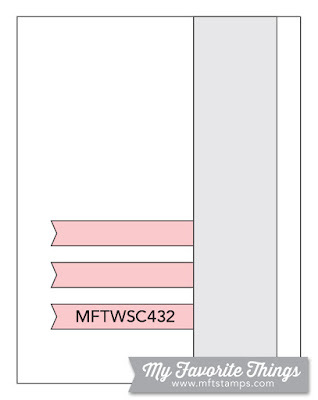 I've listed and linked the MFT products that I used below. 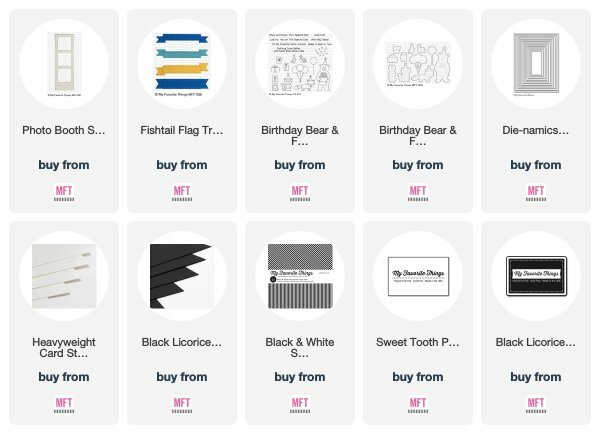 Please click on through to the MFT Design Blog to be linked to the other fantastic projects that my teammates have created for your inspiration! While you're there, please be sure and leave some love along the way for your chance to win a $75 Gift Voucher to the MFT Online Boutique. All of the April products will be available for purchase on Tuesday, April 9, 2019 at 10:00 AM. That's it for me today, my sweet friends! I'll be back again tomorrow with one last countdown project before the April Release. I hope you'll drop by again to check it out! Have a great day! !